To go with the karuvepalli kozhambu I made paruppu thogayal. 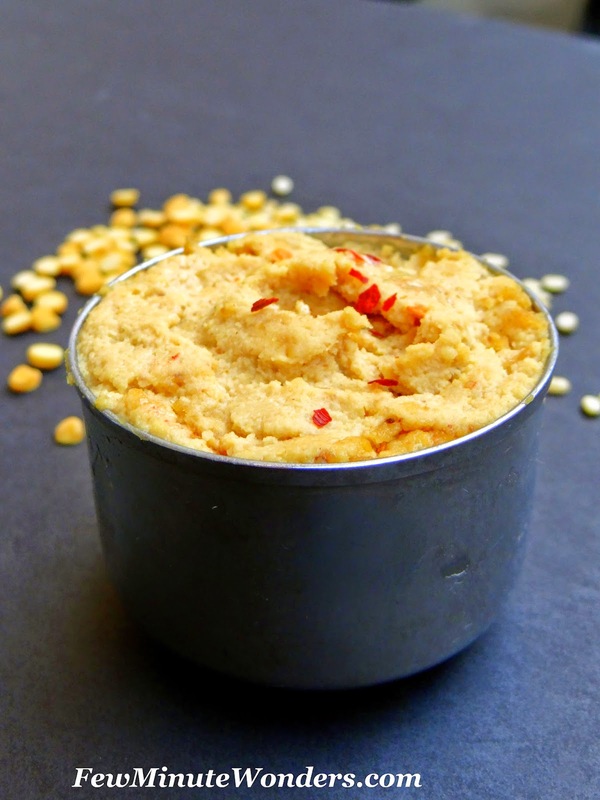 Traditionally, paruppu thogayal is always made with thoor dal, but I was out of thoor dal. Checking out my pantry cupboard I found moong and channa dal and decided to use them in the preparation of thogayal. Soon I started roasting the mixed dal and making the thogayal. I was kind of curious as to how the thogayal was going to turn out. To my pleasant surprise the thogayal turned out really delicious and one did not miss out on the taste of thoor dal in it. Next time you are facing a " lack of thoor dal in the pantry" situation, give moong and channa dal a shot in preparing thogayal. 1. Heat the wok with oil. Add asafoetida, red chillies and dal and roast on medium heat until the dal turns golden brown and the aroma of the dal can be smelt. 2. 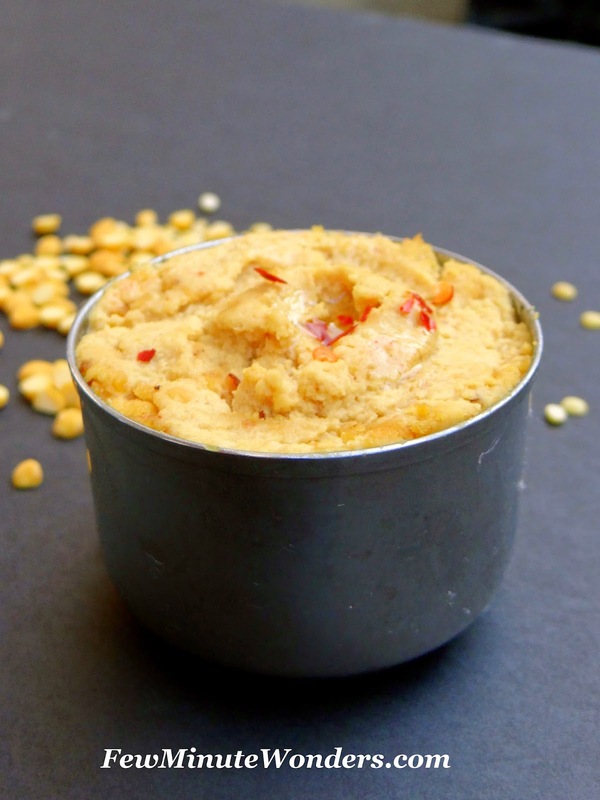 Place the dal mix in the blender and grind to a thick paste with enough water. 3. Serve on the side with karuvepplai kozhambu and rice.